We would like to share some insights with you on how to get the most out of your time with us. We believe the more educated and empowered you are as a client, the more successful your results will be. As a Mind Body Wellness practice, we incorporate whole food based nutrition, greater amounts of movement & exercise and mindfulness practices into our suggestions and know this can go a long way towards your health and happiness. Research shows that integrating these aspects increase results for a variety of affective, cognitive, behavioral, and physiological systems within a person. Instead of just focusing on presenting symptoms, such as ADD, Anxiety or relationship distress, we also look to help resolve the underlying energetic/emotional/belief “imbalances” that existed before the present day issues manifested. These “imbalances” can cause long-term health and emotional wellness issues that can manifest in both emotional and physical symptoms. In order for us to have deeper insight on this component, please complete and email the results of your Wellness Check to us before your first session. During your first session, we will review your intake paperwork and delve deeper into areas that need more clarification in order to create the best care protocol for you (and anyone else participating in the therapeutic process). We have found that many times our clients do not disclose everything they need to on the intake forms. Being proactive and open to sharing will help the process along in an expedited manner so please fill us in on everything even if you think it may not be relevant or seem connected to you. After gathering the necessary information, we will then collaborate on a plan of action to reach your goals. This may include “homework” outside of our sessions. This may include watching a video, reading an article or book or completing another time of written/processing assignment. Clients who stay committed and consistent to their process after the session time ends get radically better results in a faster amount of time. We may also suggest supportive modalities that we think will expedite your healing process along. This may include both conventional and integrative/alternative medicine modalities. Some services may be offered in our office but we also have a trusted network of colleagues we refer to including Nutritional specialists, acupuncturists, chiropractors, etc. We welcome any questions and want you to stay engaged as our collaborative partner throughout your entire therapeutic experiences with us. Please give yourself an extra few minutes to find the office before you first session and follow the directions below. We can be found on the northeast corner of Stirling Road and Park Road. There are two elevators that will take you to the 4th floor on the east side of the complex (Building C). Once you reach the 4th floor, find the Professional Offices in the middle of the hallway, walk through the double glass doors and make a left to find Suite 403E. We are not listed on the registries in the building for confidentiality purposes but you will see The Family Room Wellness Associates listed on the office door to the suite. Take a seat in the waiting room and if you need, the bathroom keys are next to the TV and are located right outside the suite. your therapist will get you when their previous session ends so there is no need to knock on any of the doors once you arrive. There are times where we may run a few minutes late with a sessions so please be patient and we will do our best to make up the time with you in your session. However, if you are running late, we will still finish the session when our scheduled time is up. We ask for you to complete and email/fax back your intake package within 12 hours of receiving our initial email/phone call to confirm your session. All adults over the age of 18 should fill out the first 4 pages (background info) but the rest of the package can be consigned jointly including the consent pages if a family or couples therapy session is scheduled. Also, please email [email protected] the results to www.wellnesscheckonline.com before the session. The credit card authorization does need to be filled out to protect the practice from any sessions that are not reimbursed by insurance or if you forget payment for a session. If you are using insurance for the session, we will do our best to make sure that reimbursement takes places but you are responsible for anything that is either denied or for services that are not covered by your insurance panel as per the financial agreement in the intake forms and explained more in the credit card authorization form. We do try to avoid credit card payments for the sessions and prefer check, cash or Venmo (@jasonwasser18) unless you have a HSA Account. 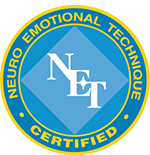 If you are paying out of pocket for non-covered services such as NET, coaching or prefer to not have a psychological diagnosis on record (see more here), Jason’s hourly fee is $250 for 60 minutes and $190 for 45 minutes. We do offer shorter 30 minute or longer 90 minute NET and coaching sessions which many clients have felt are incredibly effective and allows those who are worried about a budget to get quality healthcare in a very efficient manner. Please click here to see my article “How Therapy Can Be Your Most Successful Financial Investment”. You can also click here to read my article on “Is Traditional Therapy a Waste Of Time”. If you have any questions that we did not address here, please do not hesitate to call or email us. Please do not text the office number as it is not protected confidential communication and I am unable to respond that way.